Are you tired of the hustle and bustle of the city? Do you want to take a break from your everyday life to relax your body, heart, and mind after a long and strenuous year? Do you want to learn more about the monastic way of living? Or do you simply want to do something different and enriching this summer break? 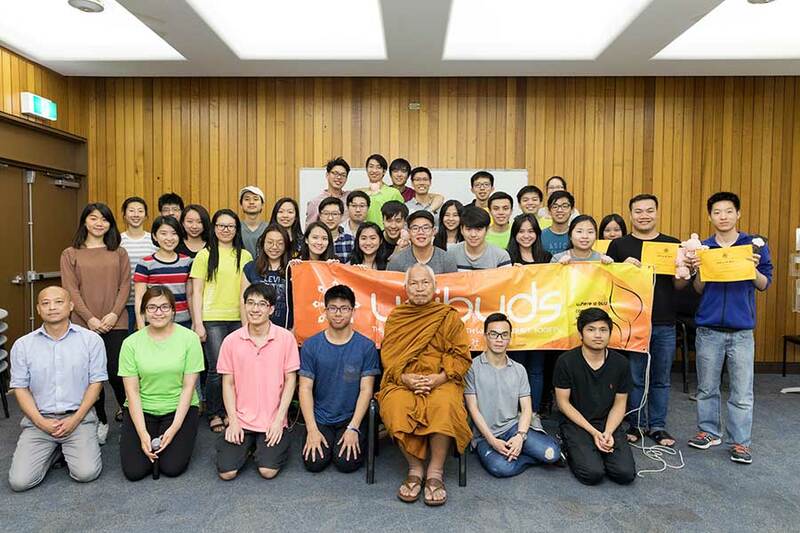 UNIBUDS will be holding its long-awaited final event of the year, the Summer Retreat, at Wat Pa Buddharangsee Buddhist Monastery on the 24th to 26th November 2017. The title of the retreat has just been set and it is - *drumroll* - "Deciphering the Three Poisons"! If you have ever wondered what is greed, hatred and delusion, please feel free to join us as we embark on a wonderful journey to learn about the topic! Come and experience an unforgettable escapade of a forest monastic life; explore the fresh air and peacefulness away from the tediousness of city life, and enjoy the warmth of summer learning more teachings of the Buddha and mingling with spiritual friends!!!! 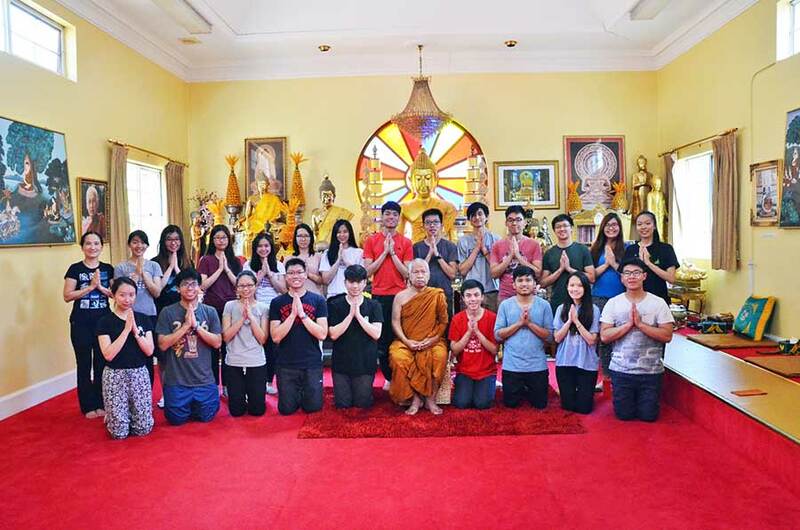 Under the guidance of Venerable Chao Khun Samai, the abbot of Wat Pa Buddharangsee and UNIBUDS' Patron, we will be practising meditation, listening to Dhamma talks, getting involved in a sketch program and much more. What if I'm not a student, UNIBUDS member nor full-on Buddhist? ALL ARE WELCOME! The retreat - and the Monastery itself - is about opening the doors of Buddhism for you to explore, freely. However, due to the limited space, UNIBUDS members are prioritised and a first-come-first-serve basis applies. Please register soon so you don't miss out! * As a sign of respect to the Monastery, participants must attend the full retreat for 3 days and 2 nights. According to Maslow's Hierarchy of Needs, food is a basic need for human beings' survival. Like an artist sculpting a metal ore into a beautiful piece of art, cooking transforms food ingredients into appetising and artistic dishes, and lucky for YOU, UNIBUDS' annual event, Cook of the Year, is here again to give an opportunity for you guys to show off your master(chef)piece!!!!! Cook of the Year is a friendly cooking competition where participants come together to display their culinary skills in preparing Dhamma-incorporated dishes. Each team of 4-5 will prepare 3-4 dishes that our esteemed judges will assess based on the Dhamma theme portrayal and the dishes' presentation and taste. This event is a good opportunity for you to meet new friends, having fun while preparing the dishes (or even learn how to cook!) and deepen your Dhamma knowledge in a fun and interesting way!!! Do take note that all the dishes must be strictly vegetarian which means no egg, garlic, onion, leek, shallot and alcohol. If you are interested, don't hesitate and join us by contacting the organisers (our contact details are stated below) by 21 October 2017 (Saturday). Are you stressed out because of the upcoming finals? Feeling anxious as your brain couldn't take in as much information as you want in a short period of time? Worry no more, loosen up yourself as UNIBUDS will be organising its final Meditation Workshop of the year on 21st October 2017. Give your overworked brain a break from all the studying and join us for a peaceful and relaxing meditation experience! This workshop is going to let you experience Vipassana Meditation (Insight Meditation), a meditation technique that will assist you to stay in the present moment by contemplating on your body and mind. Don't be intimidated by the idea of meditation as we will not be meditating for the whole 3 hours. There will be breaks and short talks in between with refreshments provided! Let's all be there to explore the wonders of meditation! No compounded things stays the same forever, and such can be said the same with UNIBUDS. It is that time of the year again� where we ought to wave goodbye to our fellow 37th Executive Committee. 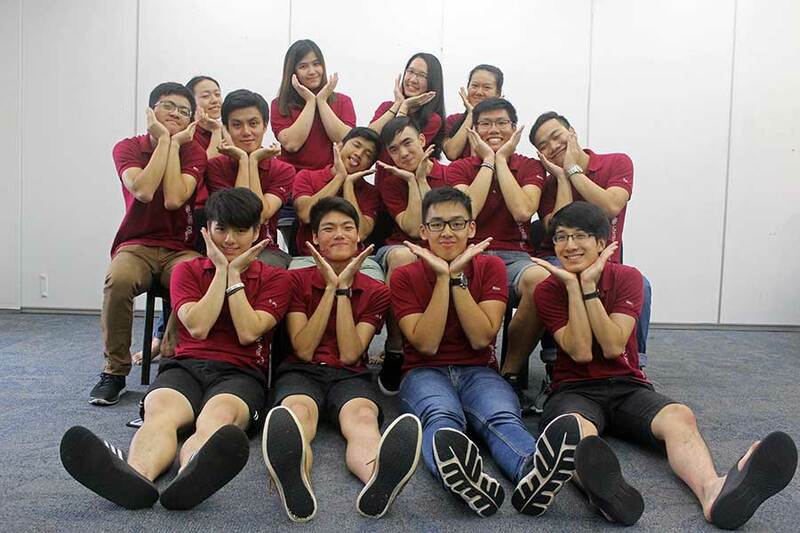 We would like to congratulate each and every one of the current executive commitee for their efforts in spreading the Dhamma and ensuring that our society grows in a meaningful way. As our committee begins wrapping up their work, we also anticipate with great excitement for the upcoming election of the 38th Executive Committee! We would hereby like to invite EACH and EVERY SINGLE ONE of you to participate in this joyous event where you will have a chance to run for a position (or more) in our committee. Otherwise, you can come along and cheer for your nominated friends. This is a great opportunity for you if you believe you can help steer this community to greater heights! Please find below the attached document containing the list of available positions (stay tuned as this is subject to change). There will be a nomination box outside UNIBUDS library, Squarehouse Level 3 for you to submit your nomination forms from 12.00pm-2.00pm on weekdays. 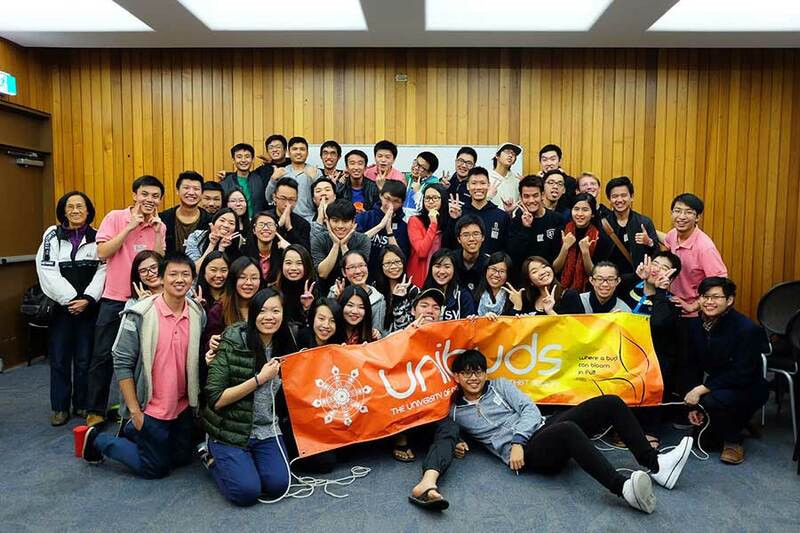 1) If you wish to run for the top five positions (President, External Vice Presidents, Internal Vice Presidents, Honorary Secretary, Honorary Treasurer) you must be an ORDINARY MEMBER of UNIBUDS (i.e. you must be a UNSW student). 2) We will not open our membership registration on the day Annual General Meeting (AGM) is held. If you wish to register for membership please do so prior to the AGM date (or after the AGM date). We are moving towards the final days of the 37th term, but with every path that leads to an ending, a new beginning arises, same goes to our Executive Committee. So if you're interested in joining the team, or if you don't only want to be part of this family, but to contribute to it, then this might just be the right place for you. Join us to find out more about what the Executive Committee do, as we will be having an information session this coming Friday. Our current team will be more than happy to share their experience as an Executive Committee member as well as more information on the respective positions that you are interested in! Ever wondered why we sometimes get so unorganized and tend to let our mind wander around without focusing on the present moment? Well, UNIBUDS has the answer right here! Hereby presenting our next meditation workshop � Mindfulness Meditation to help relieve yourself from that anxiety! This upcoming workshop introduces a form of meditation which focuses on training our self-awareness and is great for those who wish to integrate the practice of meditation in daily life. The workshop will include an introduction to Mindfulness Meditation, guided sessions and discussions about meditation. Potluck 4 is just around the corner! Featuring the dishes cooked by none other than our beloved Bodhi Nite Organising Committee and fellow Unibuddies!! Can you smell the good food? We, for one, certainly can! Be sure to drop by to get a taste that will spark off your taste buds; and of course, food always tastes better when it's free right? If you want to show off your culinary skills, whether it's savoury food, desserts or drinks (no alcohol please! ), you are more than welcome to bring your signature dish and share it with everyone! Otherwise, come with an empty stomach, a hearty smile and enjoy a special Saturday night unlike any other full of food, friends and FUN!!! Did you miss Bodhi Nite? Wondering why your friends are having PBNS (Post Bodhi Nite Syndrome)? Take a glimpse of what you missed exclusively in this Potluck! Also, considering the escalating number of PBNS patients in the past few days, UNIBUDS have decided to provide a mass cure. What cure, you ask? Come and find out yourself!! (No disclosure is permitted as this is strictly confidential and limited to invitees). So what are you waiting for? Check out the details below and mark the date on your calendar~ Let's make the night memorable! See you all there! It is the time of the year when the term "Bodhi Nite" makes yet another reappearance (and is here to stay - yay)! So, what is all this hype going around in UNIBUDS all about? 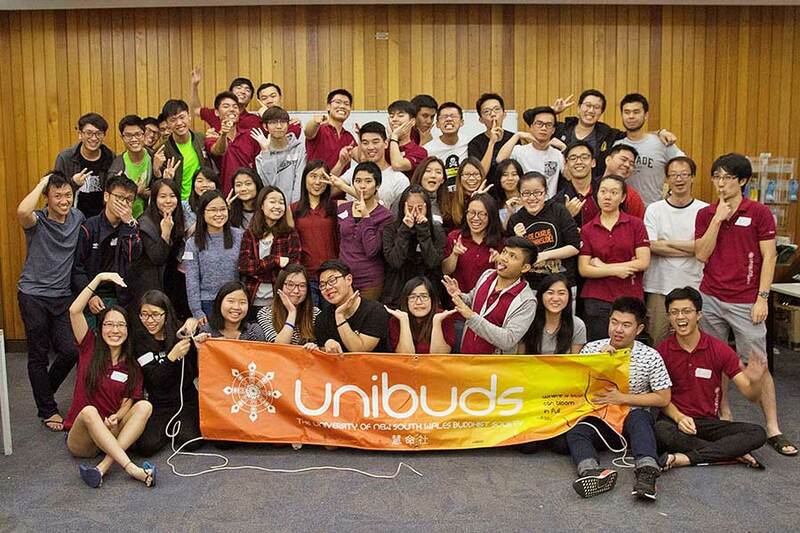 UNIBUDS has grown in the last 36 years and we will be celebrating its 37th birthday this year! 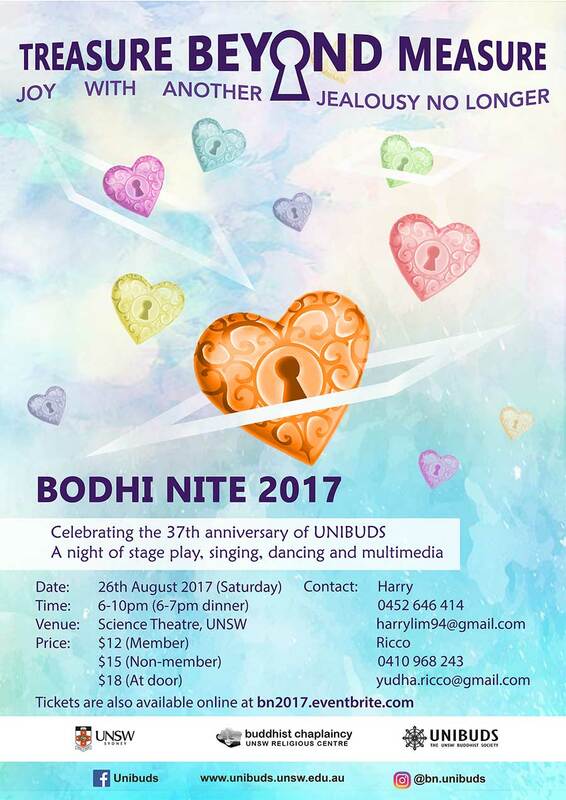 Bodhi Nite is where we celebrate UNIBUDS' anniversary with a series of incredible performances such as singing, acting, dancing and multimedia presentations that aim to present the teachings of the Buddha in a fun and entertaining way. This year, we will be exploring the theme of appreciative joy. When people around us are praised for carrying out good deeds, or when they seem to be better off or accomplishing greater things than us, jealousy often hinders us from rejoicing with their success. Nevertheless, is it possible for us to suppress our envious thoughts and just be genuinely happy for them? Join us and discover what appreciative joy is all about in Buddhism! Hey fellow members, welcome back to session 2 of uni, hope you had a joyful holiday. Guess what's coming up? UNIBUDS's classic: Potluck. Some of you would have known what potluck is, but for those who don't, it's basically a gathering for all members and non-members of UNIBUDS, where you can show off your cooking skills by bringing a dish; or if you are too busy to cook or too shy to show off your cooking skills, you can always come with an empty stomach and fill up your appetite while meeting new and old friends. For those of you who were not a member last year, you might be wondering what Bodhi Nite is and why it is mentioned in every single event. Fear not, as we will be introducing Bodhi Nite during this coming Potluck. As you've probably heard, Bodhi Nite marks our society's 37th anniversary by having a series of performances including acting, dancing, singing and multimedia. There will also be short Dhamma Talks by our patrons with free-yet-yummy vegetarian dinner included for the night. Want to find out more about Bodhi Nite? Come along and join us for a flavourful dinner and we will tell you more about it. Are you guys ready for Semester 2 of uni? Well, I hope you are! Because UNIBUDS is back again with our regular activities. So let's start the semester by dropping by our O-week stall for a friendly greeting! UNIBUDS will be setting up a stall in front of the main library. We would also like to invite new members to be part of our warm family. UNIBUDS will be holding its long-awaited annual event, the Winter Retreat, at Sunnataram Forest Monastery during the break. For those of you who will be having post-exam syndrome, or even those who want to step out of their hectic work routines, this is the little breather that you would not want to miss! Come enjoy an unforgettable experience of a forest monastic life; explore the fresh air and peacefulness away from a busy city, and enjoy chilly winter days listening to the Dhamma and mingling with spiritual friends!!!! 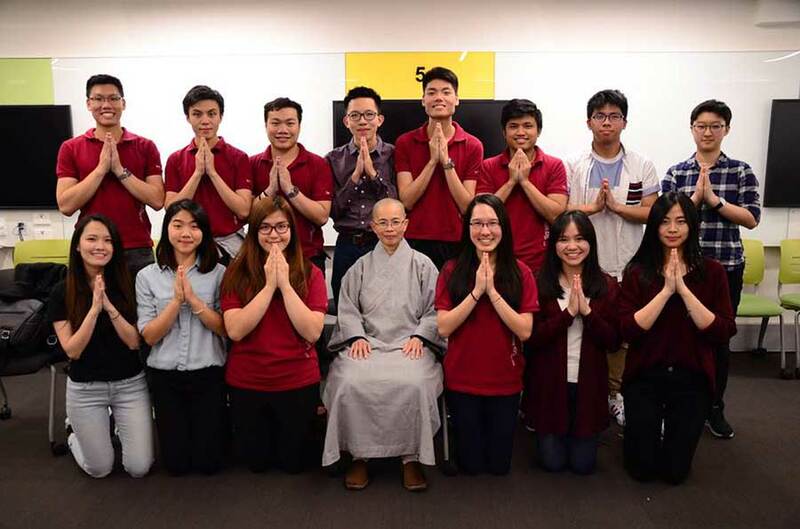 Under the guidance of Phra Mana Viriyarampo, the abbot of Sunnataram Forest Monastery and the Buddhist Chaplain for the Sydney 2000 Olympic and Paralympic games, we will be learning meditation, Tai Chi, listening to the Dhamma, and getting involved in a sketch program. If the weather permits, we will also be bushwalking and having a BONFIRE! All are welcome! The retreat - and the Monastery itself - is about opening the doors of Buddhism for you to explore, freely. However, due to the limited space, UNIBUDS members are prioritized and a first-come-first-serve basis applies. Please register soon so you don't miss out! 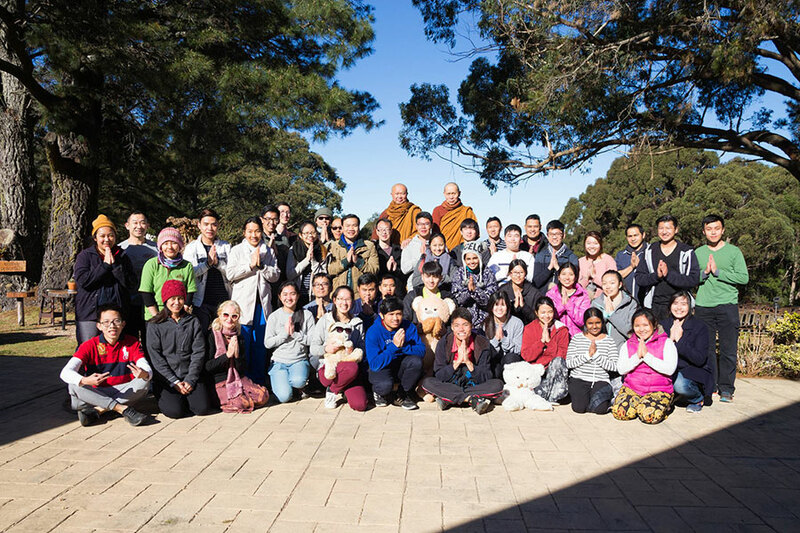 As a sign of respect to the Monastery, participants must attend the full retreat for 3 days and 2 nights. Please register by 30th of June by clicking on the link here. Please note that we will send you a confirmation email after your application has been processed. 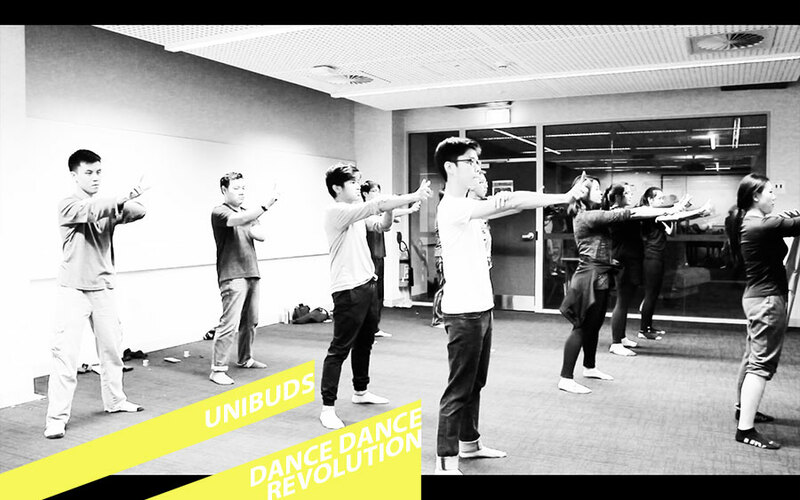 As we prepare for the upcoming Bodhi Nite, UNIBUDS will be holding a beginner dance workshop for those interested to learn about dance or just to get their groove on! We will be covering basic techniques from hip hop, jazz, contemporary and many more to help get the body coordination that you would need in dance! So join us as we exercise our way through this winter break! Stressing out about the upcoming final exams? Fear not, because Vivid is just around the corner. UNIBUDS will be hosting a Vivid tour just for you before you start preparing for your finals. 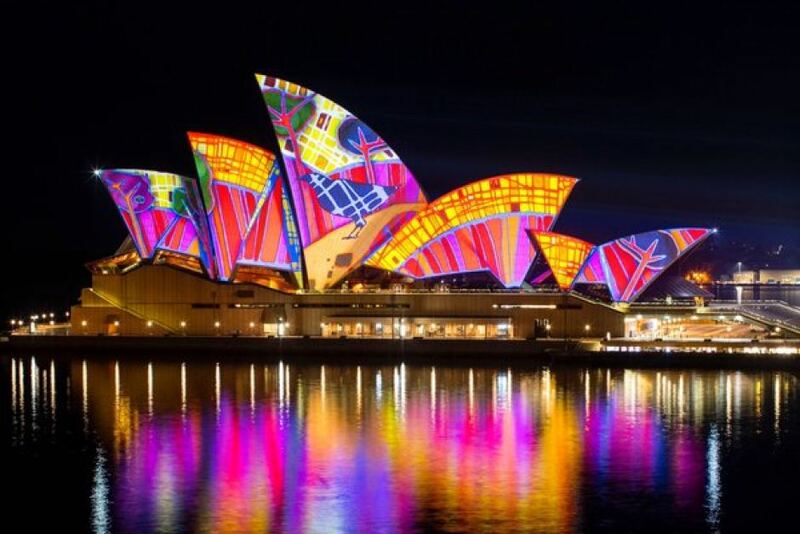 We will be covering places like Circular Quay, The Rocks, and we may also be taking a ferry ride while appreciating the great scenery the lighting effects have given to the city. Join UNIBUDS as you see the great illuminations of the city! This is an event you don't want to miss, even if you have already seen it before! Feel free to bring your buddies along to enjoy this annual event. Hope to see you there! Hope all of you are coping well with university life! As you know, the end of the semester is getting closer, meaning there are assignments that need to be done and a lot of studies to be completed (catch-up lectures oops! :p) in order to face the final exam. Therefore, UNIBUDS presents you with the second meditation workshop of the year which is Loving-Kindness Meditation to calm your mind and body before the storm. This upcoming workshop introduces a form of meditation which focuses on building our loving-kindness trait, which can be integrated into our daily life. The workshop includes an introduction to the topic along with guided meditation sessions and discussions. So come along and join us in this workshop! Vesak Day is coming up and we would like to invite you to join us in celebrating this auspiscious day! Just some brief information about Vesak Day, it is the commemoration of the Buddha's birth, enlightenment and passing away. It is a day to reflect back on the Buddha's practice and teachings that have been passed on over the course of time. 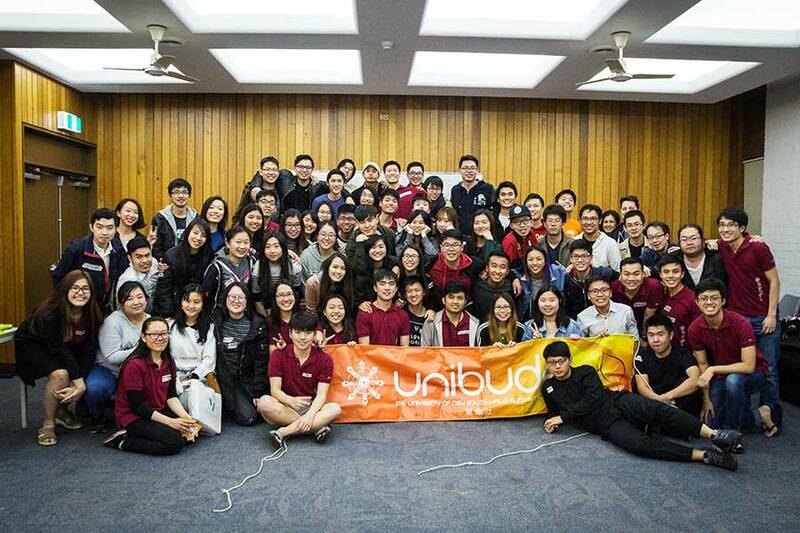 This year, UNIBUDS will be celebrating the ceremony in the Mahayana tradition. 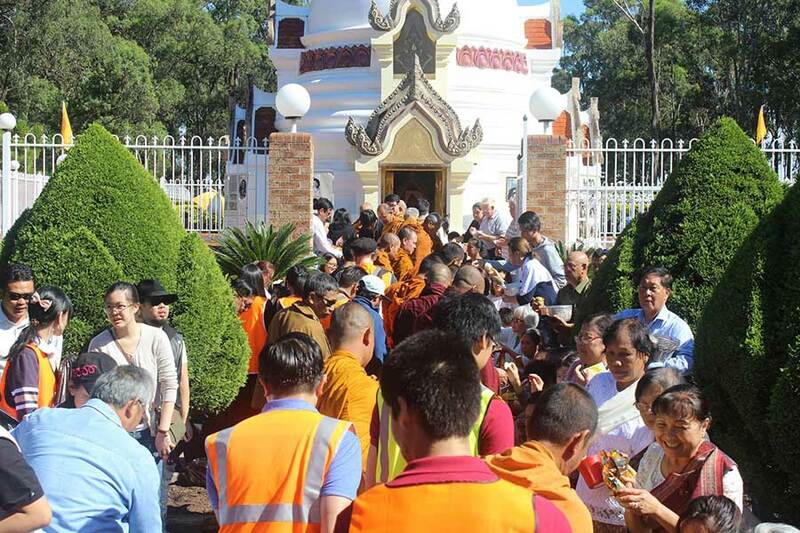 There will be chanting, followed by short Dhamma talks given by our patron, Chao Khun Samai as well as our Buddhist Chaplain, Venerable Neng Rong. 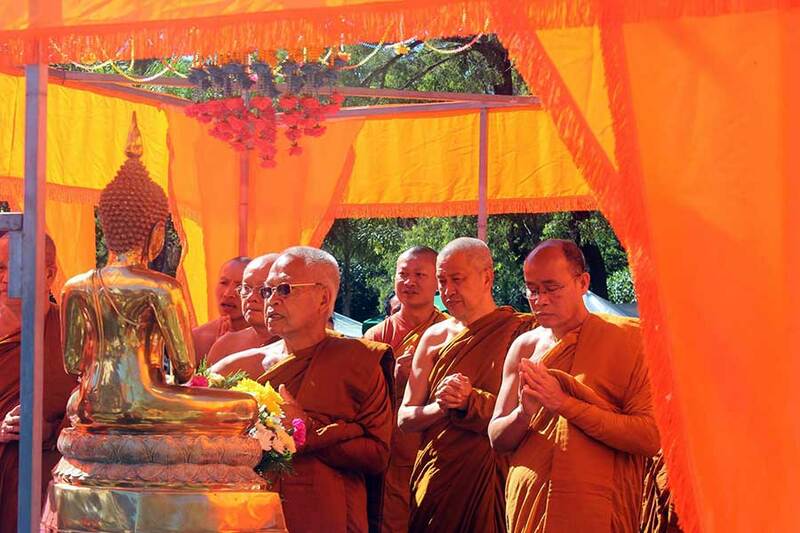 Our schedule will also include the bathing of the Buddha statue to signify the purification of the mind. It is through the teachings of the Buddha that we are able grow and work towards our goals. Vesak is a significant event that should not be missed! We look forward to seeing everyone there! Buddhist Exhibition is finally over and it was a successful event! A big thank you to all the helpers for your contribution and effort. We could not have accomplished this amazing exhibition without the continuous support from all of you! 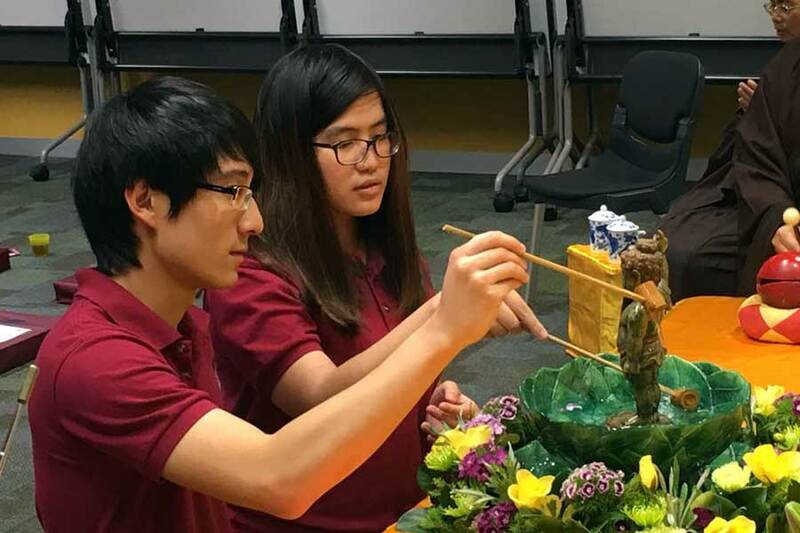 To celebrate the achievement and accomplishment of our Buddhist Exhibition, we will be holding a Thank You Dinner on this Saturday 6th May from 7pm-10pm. We would like to invite all of you to come and relish in this event because this time the Organising Committee will be preparing foods, drinks and refreshments to thank everyone! Like always, in addition to FOOD, we will have games prepared. So feel free to come along and enjoy a night of celebration and fun! 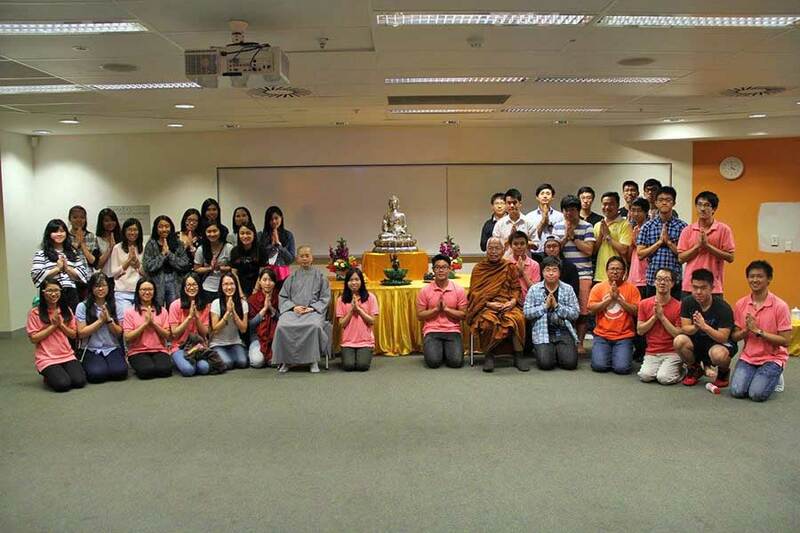 THEME: "Uncovering the Light of Buddhism"
April is approaching and we have many exciting events waiting for you! One of them is our triennial Buddhist Exhibition. 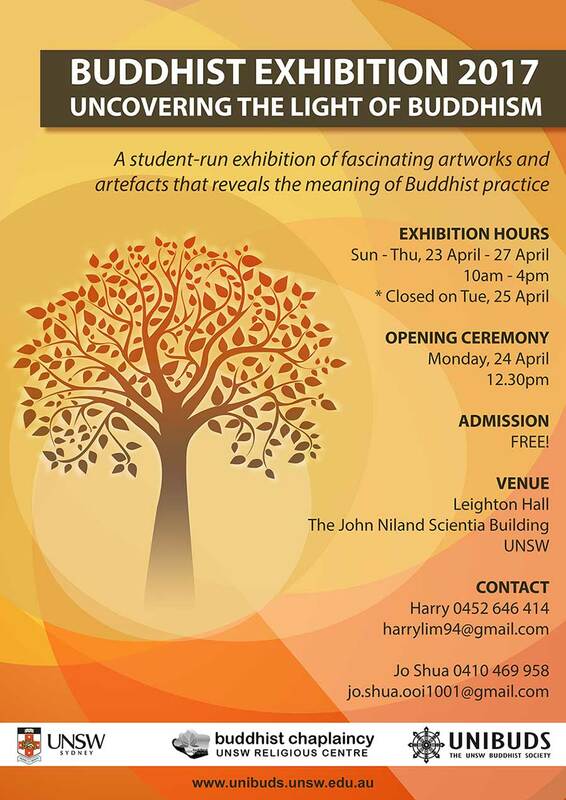 Buddhist Exhibition is an exhibition organised by UNIBUDS to showcase Buddhist artefacts and artworks to the public. In accordance with this year's theme, �Uncovering the Light of Buddhism�, we will be exploring the original purpose and meaning behind some Buddhist artefacts by delving into the influence of time and culture in shaping current perceptions of these artefacts. How did Buddhism come about? What items did monks use back in the day of the Buddha? Who distilled the Buddha's teachings from oral communication into written form and how were they recorded? Come and find out as you navigate your way through artefacts and exhibits as art, history and Buddhism intertwine. Please do not hesitate to contact us if you have further questions about this exhibition. Also, we need YOUR help to make this event a success, so do check out the information below and contact us to know more about each department and how you can help. Let us all uncover the light of Buddhism together! Need a little break from study on the weekend but don't know what to do? UNIBUDS is organising a trip for our next activity, Songkran, at one of our patron monasteries, Wat Pa Buddharangsee! Songkran, also known as Thailand Water Festival, is the most important festival for Thai people which is celebrated as the traditional Thai New Year. Thai people sprinkle water to show respect to the elders including family members, friends, neighbours, and monks. Here, we will be having a series of activities, such as chanting, blessing, short sermon, fund raising Food Fete, South East Asian traditional dances and more! 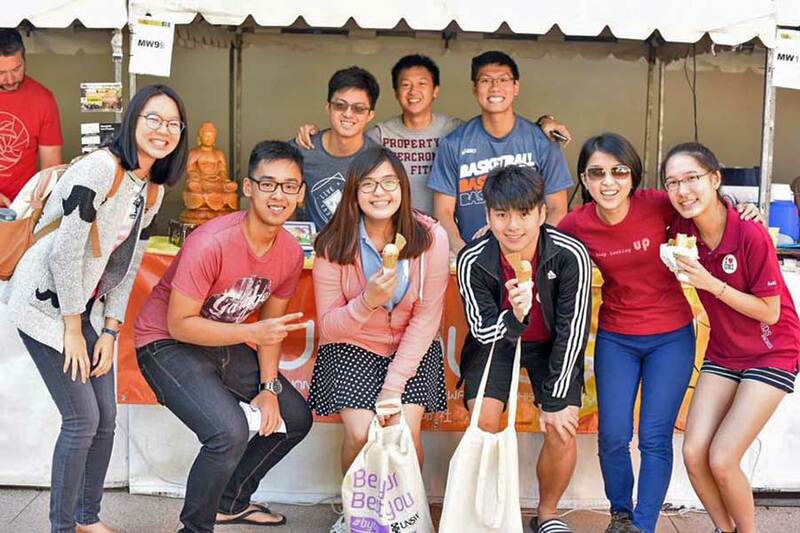 Besides enjoying the festival, we will also be volunteering by helping out the monastery with food collecting from food offering and packing up. Remember to register before the 8th April by contacting or emailing Tommy. Hope to see you for Songkran! First of all, I hope all of you are having a great start at university! Assignment deadlines, quizzes or even mid-semester exams might be haunting you already, but you don't have to worry as long as you manage your time well. A clear and relaxed state of mind is essential to perform well in university or even in our daily life and that can be acquired by learning how to meditate! This first workshop of the year introduces the basic form of meditation which is perfect for beginners and those who want to practice meditation in their daily routine. The workshop will include an introduction to Breathing Meditation with guided sessions and discussions. The speaker for this workshop is an inspiring and encouraging example of how meditation has shaped one's lifestyle. So come along and we shall learn it together! Rod Lee is the director of the Tibetan Buddhist Society. He has been practicing Buddhism since 1978 and has been teaching Buddhism for over 20 years. He was a disciple of Venerable Geshe Loden. Rod has a company called Working Balance which teaches meditation and mindfulness to business people. He teaches Tai Chi and is a Shiatsu massage therapist. He also provides stress management counselling for individuals using Buddhist perspectives. How's first semester going for you? Are you overloaded with work? Feeling stressed? Or simply just nailing everything that's coming your way? One way or another, everyone deserves a break! That's why we're bringing you the first ever Potluck of the year! So what is Potluck? Is it a pot? Is it luck? Its neither (maybe pot :p)! Potluck is a social event where everyone brings a dish to be shared. This is a great opportunity for everyone to just gather around, make some friends, grab some food and have some fun! Good news for loners as you say bye-bye to eating alone! Also, for those who love to cook, feel free to do so and bring along your best dishes (note that they don't have to be vegetarian). For those who are just too shy to show off your cooking skills (for now), you're still more than welcome to join us for the night! Besides having food and playing games, we will be introducing our upcoming Buddhist Exhibition (spoiler alert!). This is a one week event where you will have a chance to have a close-up look on various Buddhist artefacts and learn the Dhamma. Sounds interesting? Come along to find out more! As usual, we're aiming to have a variety of food for everyone to enjoy, so do let us know if you're planning to bring anything over to share with everyone. We hope to see all of you there, and please do get your friends to tag along, because the more the merrier! Just your busfare! You are more than welcomed to bring a dish to share with other. Otherwise, just your empty stomach! Hope you're enjoying your new life in uni! Are you looking for new friends? Hoping to meet that special someone? ;) Or just struck by random food cravings? Well, it must be your lucky day! 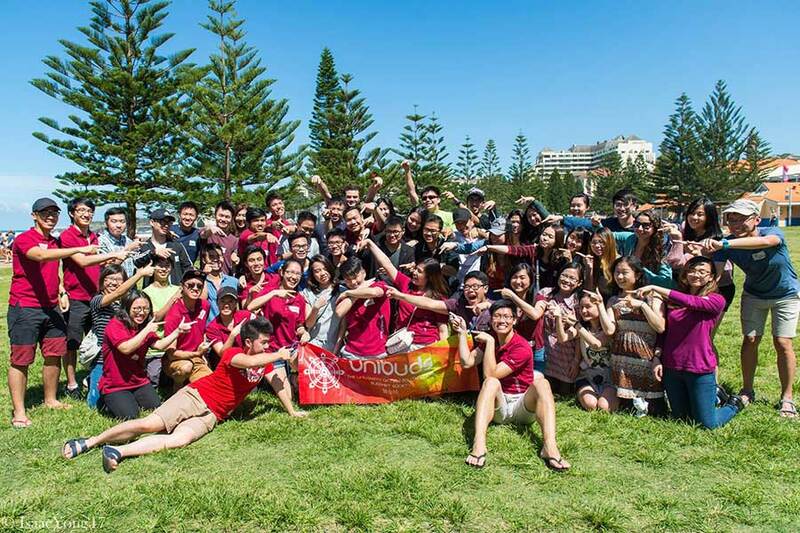 UNIBUDS will be hosting a BBQ to welcome all new members into our big Dhamma family. Let's hope for lots of sunshine because it will be packed with friends, food and fun! The great catch? It's all free! :D So bring your friends, your empty stomachs and lots and lots of enthusiasm, because we simply can't wait to meet all of you! Just your OPAL Card! Food & entertainment are provided! O-Week is just around the corner! UNIBUDS will be setting up our stall to invite all of you to our big UNIBUDS family and also to renew memberships for those who have been around for the past year(s). 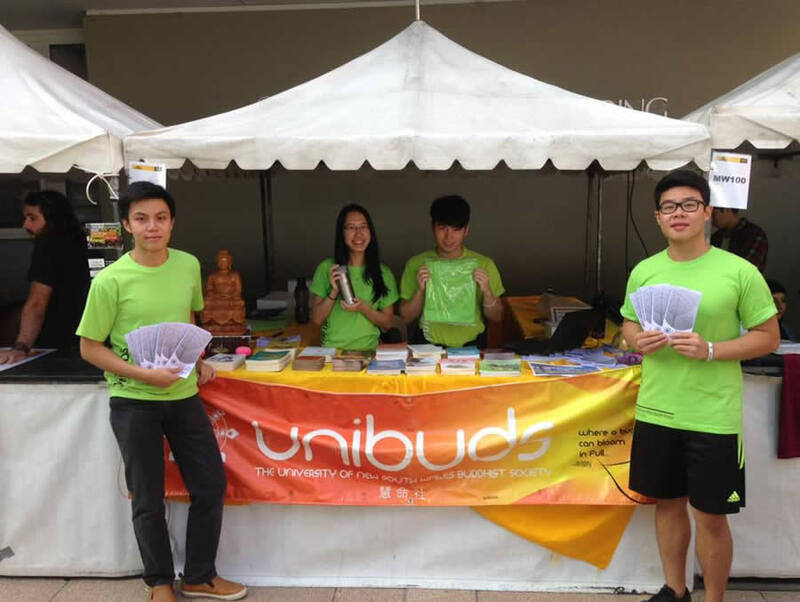 UNIBUDS is the place for you to learn more about Buddhism and practice the teachings of the Buddha along with lifelong spiritual friends! We have a lot of activities planned out for you throughout the year such as weekly Dhamma talks, free food night (erm.. I mean Potlucks! ), our upcoming Buddhist Exhibition at the end of April and annual Bodhi Nite! For previous members, our membership only lasts for a year so don't forget to renew them! For those who want to know more about our society, don't hesitate to contact us! Hope to see you there!